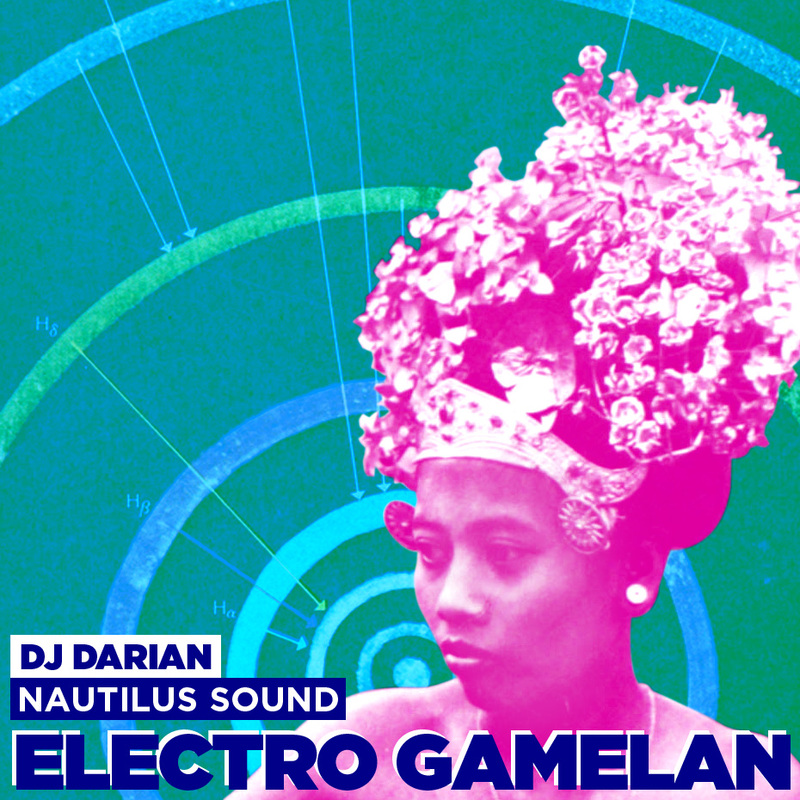 a brilliant Electronic Gamelan mix by Nautilus Sound from Australia. beautiful as it is suspenseful, subtle and powerful, totally epic. includes all kinds of tasty Nu-Gamelan (lol) treats from Downtempo Gamelan to Gamelan-Step to Tribal Gamelan Tech to even Junglist jump up Gamelan. Well worn cliche or not, everything is connected. Borders and separation, in the spheres of physics, of politics, of “race”, as it is of culture, are illusions fostered by narrow and fearful minds, often purposefully fabricated by those who seek control and to benefit from alienation, antagonism, and the suffering of millions. Today our conceptions of the cultures of the world and of their relationships to each other, is sadly still under heavy influence of 18th and 19th century colonial revisionist versions of history. In the United States, education reform initiated by the wealthy elite of powerful industrialists applied sweeping changes across university campuses, teaching a fundamental and intrinsic divide between “East” and “West”, painting the former as largely superstitious, backwards, repressive, and the later progressive, modern, liberal. While in Europe racist German and English scholars began erasing the African and Asian foundational influence of classical Greece out of history, replaced by an absurd Euro-centric story of the “Cradle of Western Civilization” developing more or less autonomously, with the only outside influence from “Northern Tribes”, separate from much older and more advanced civilizations in close physical proximity. The dissemination of this fictional dichotomy between the “occident” and “orient” has always been politically motivated: it furthers the aims of the ruling class, provides a necessary ideological backdrop for colonial and neo-colonial agendas, and is still instrumental in world affairs today (the structural basis for “the war on terror” as related to the demonization of Islam). But there is no essential divide between “East” and “West”, their relationship being more like parent and child. And in the realm of music, the inter-relatedness of all cultures and the character of their specific relationships becomes apparent and clear. For instance the guitar was a direct descendent of the Oud, the grand parent of all plucked instruments, the first record of which appears in ancient Mesopotamia during the Acadian period (2359-2159 BC). The Romans around 40 AD made a version of it called the Cithara, which spread to the Vikings in Europe; and later Gypsies living in Islamic Spain created the modern guitar based on that. And if one traces the history of 20th Century North American pop and dance music, a crude and very abbreviated but basically sound genealogy describes a line going back to Disco, to Soul, to Funk, to Motown, to Gospel, to Blues, to Jazz, to work songs of the slaves, and indeed, to Africa. Continuities are everywhere one chooses to look: the Balkans are connected to Israel to Iran to Spain to Egypt to Morrocco to Mali to the Congo to Haiti to Cuba to Colombia to New York City. Yet there is still this prevalent vantage point that “World Music” is indeed somehow fundamentally different from “Western Music”, and it is still shocking to some that non-Western sounds are making such a ripple in 2010 (the success of artists such as Omar Suleyman, and a new wave of indie musicians citing non-western influence). As if Rock and Roll itself wasn’t African American, and less directly, African in origin. As if Led Zeppelin wasn’t heavily influenced by Turkish music, or the Rolling Stones by Morroccan traditions, the Beatles by Indian Classical, Can and (early) Kraftwerk by East Asian sensibilities and African percussion, Debussey and John Cage by Indonesian Gamelan, Steve Reich and Georgy Ligetti by African polyrhythms, etc, etc, etc. Forward thinking and ground breaking modern music in the “west” has always taken cues from much older non-western sources (similar to the way modern visual art owes much to pre-modern, so called “primitive” forms). Humans have surely forgotten much more than we know today, with the ravage of time, after countless wars, destruction of entire cultures, libraries burnt down. By the same token, ancient musical traditions contain forms which are more advanced, more inventive, more structurally challenging, more revolutionary in every sense of the word, than any “futuristic” electronic dance music today. And in terms of the expansion of minds or total ecstatic celebration, the bits and pieces passed down to us, remnants of musical traditions reaching back to ancient times, often embody methods far superior to what you might find in today’s dance clubs. One man sitting on the island of Madagascar, singing over an insistent Rhythmelody plucked out of a single-string instrument contains all the elements of minimal techno, and with more ingenuity, more grace, more efficiency, more innovation, more raw power, than anything produced in the last 30 years. All rhythm certainly comes from Africa, as the drum itself was invented somewhere around Kenya tens of thousands of years ago. But African music is much more than drumming, for example the various Kora traditions weaving complex melodic structures that would make Bach dizzy. To be more precise, in much of African music one finds an un-differentiated oneness of rhythm and melody, never divorced from each other by over analytical minds. Examples of this can be found in Soukous guitar, various Mbira (thumb piano) musics scattered through out the continent, Yoruba talking drums, and multiple traditions of tuned percussion instruments such as the Balafon or Marimba. What we have seen in the last few centuries of Western musical development is a return to rhythm, after being largely divided from it for many centuries under the European Classical establishment, which reduced its importance and saw it as “primitive” and “plebean”, emblematic of the music of savages and the underclass. But in the melting pot of the Americas, a traumatic confrontation between European and African traditions became probably the most important source of innovation in the past mellenium, forming the seeds of the myriad kinds of musical styles we know today. The only way to move forward is to look back upon the treasures of our collective past. It is indeed this re-entry of indigenous musical heritage, fused with urban bass culture, this combination of ancestral musical ideas and modern sound, which is now giving rise to irresistible next level dance music on every continent. Crucial new scenes thrive and vital new styles are born in almost every corner of the world, challenging and displacing the centralized hegemonic culture manufacturing machine which attempts to fill the world with its vacuous regurgitation. But despite the spread of information technologies, there is a pointed lack of communication between musical communities of the world today, and many scenes remain relatively isolated and insular, inaccessible to their potential global audience who hunger after new sounds. 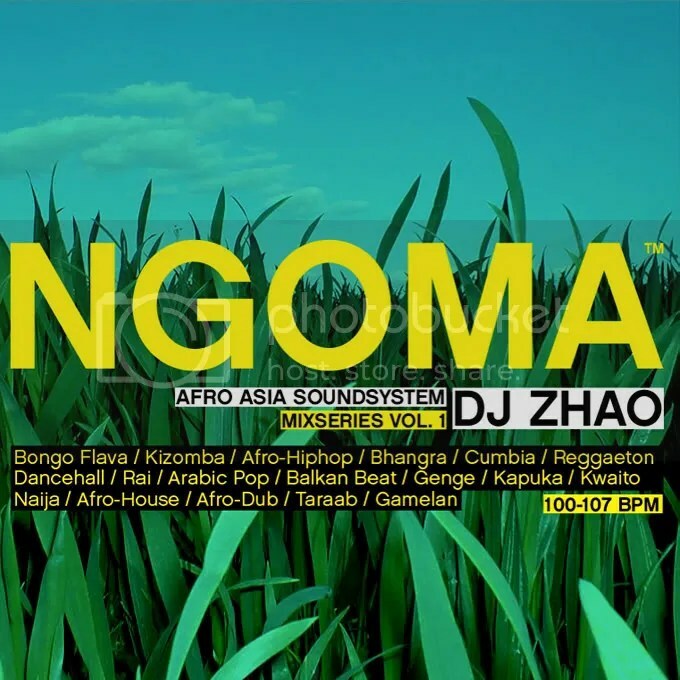 For instance Kwaito, the South African House/Hiphop hybrid style based on traditional Zulu music, flourished for 2 decades within the townships while being virtually unknown outside, and only recently began to make waves in the world at large. Economic, political, and other arbitrary factors entirely other than artistic merit often determine which music rises to global prominence, and which is relegated to obscurity and silence outside of it’s region. As the pioneering early 20th century ethnomusicologist Alan Lomax put it half a century ago (i paraphrase): “mass media broadcasts the voice of the privileged, while often times more deserving, more beautiful voices in poverty stricken places remain unheard.” Thus djs in these neo-colonialst times, as cultural workers whose particular role gives them direct access to large audiences, must be aware of the many levels of inequity in the world, and do his/her job with this awareness in mind. Of course, above all other concerns, djs must rock the party. We must create unforgettable experiences on the dance floor, and fascilitate that most important (no, it is not frivolous at all!) of social functions: the celebration of life despite its hardships. But there is more than 1 way to mash up the dance, and djs do not have to pander to the charts or appeal to lowest common denominators to please a crowd. It is possible to simultaneously entertain and educate the audience. DJs can transcend the here and now, go beyond (or destroy completely) the status quo, if they choose to. Music is never “just music”, but always an expression of subjective social reality. The world around us and the particular dynamics and situations we are in, from the macro to the micro, should to some degree inform each dj set, with site specific references and conceptual links, infusing the musical experience with many levels of meaning. 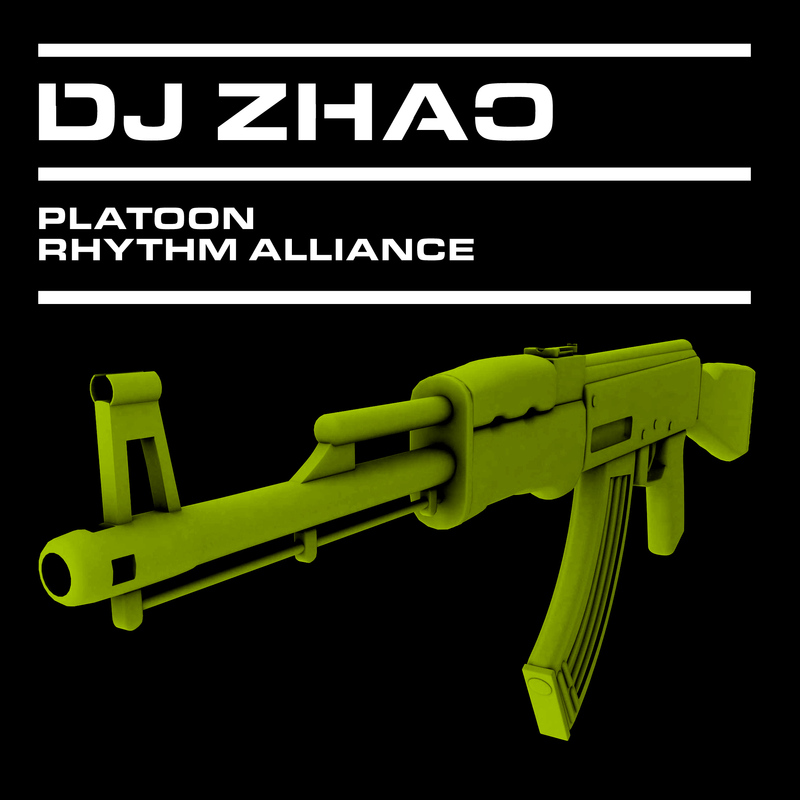 A good Dj does in depth research into her/his chosen styles, studies its history and lineage as related to other strands, and find and make unexpected connections. In this day and age, many members of society and especially other kinds of artists still view the DJ as a clown-ish, superficial, unsophisticated and unimportant character, who exists solely to entertain drunk idiots. If all other reasons fail, this might be motivation enough to start taking ourselves and what we do more seriously.